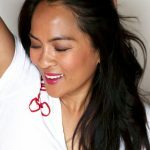 It’s been hot here in Georgia lately…like SO hot that I’m running to my car now, yet despite the heat and sun, my legs refuse to tan, no matter how many skirts and dresses I wear. I think my legs might be invincible, guys, LOL! 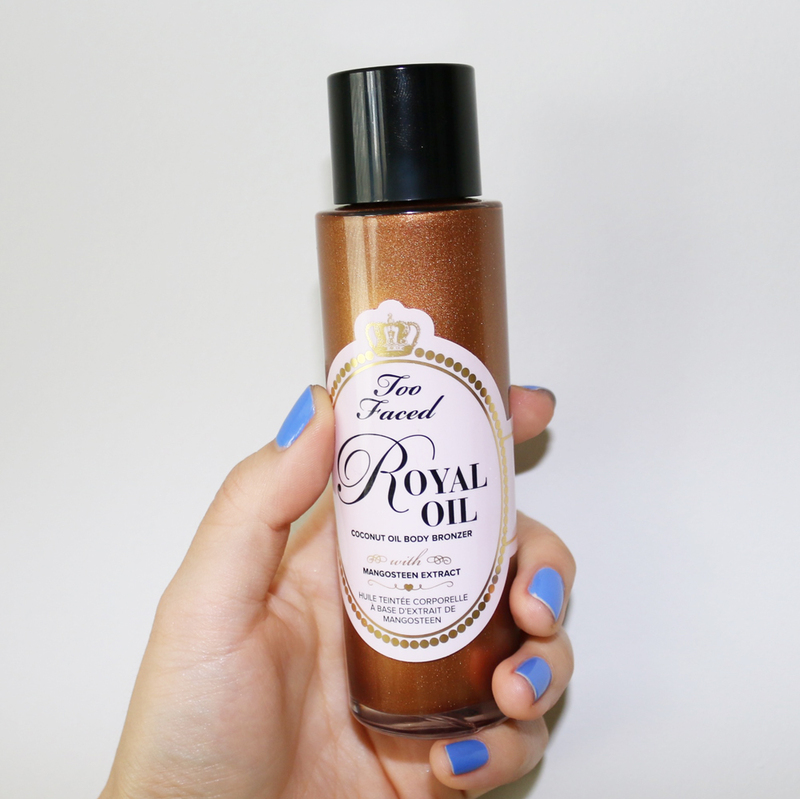 To combat my blindingly white legs, I’ve been using a bronzing oil, Too Faced Royal Oil Coconut Oil Body Bronzer, and I think it may be a go-to this summer. But that’s not the first step in my summer skin routine. I finally get it… Baths are great. 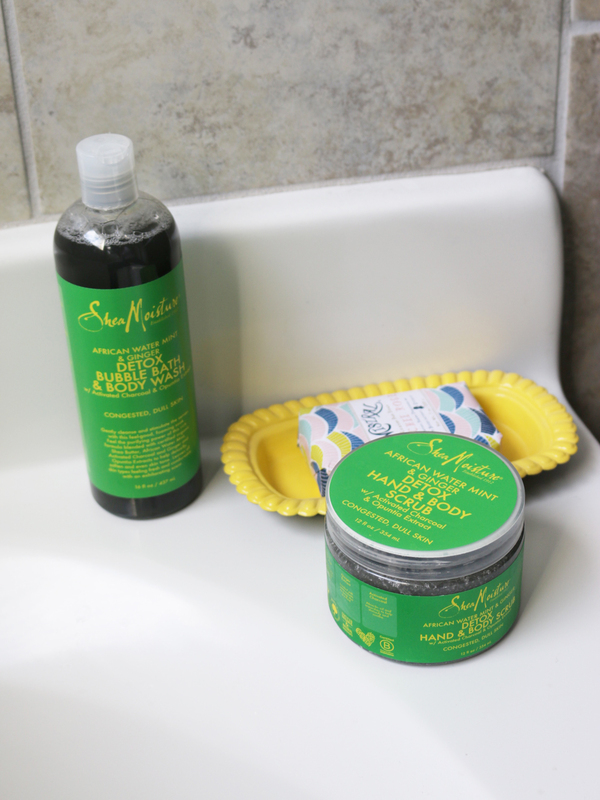 In my new home, I finally have a separate bathtub to relax and lounge in, and the new Shea Moisture “African Water Mint and Ginger” products inspire me to make time for them. I start with a capful of African Water Mint & Ginger Detox Bubble Bath & Body Wash ($9.99) in the bath. It’s not SUPER soapy — which I like — so there’s no need to jump into the shower to rinse off. 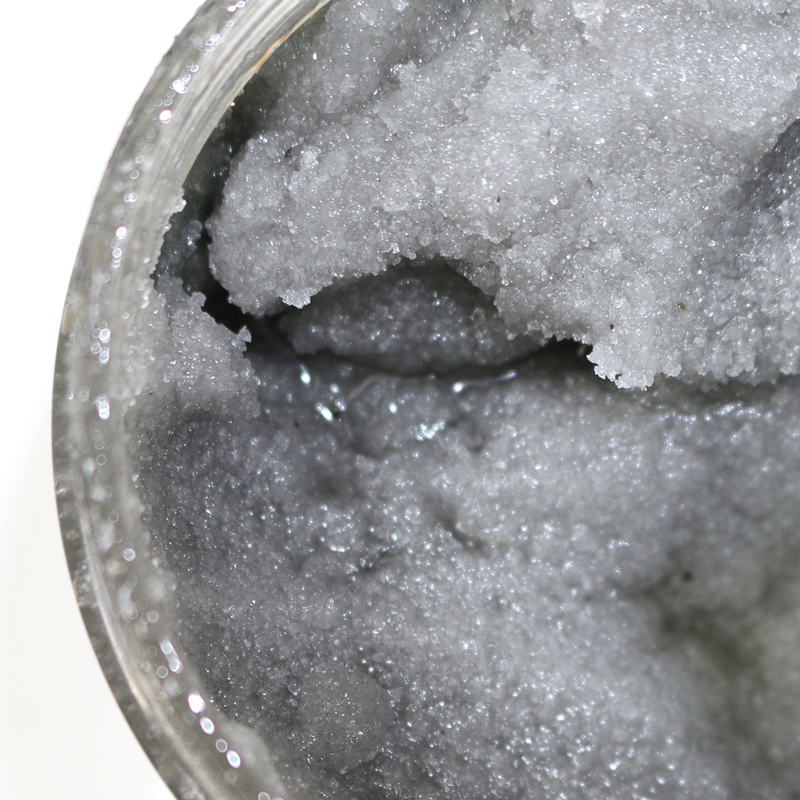 But hands down, my favorite product of the set is the African Water Mint & Ginger Detox Hand & Body Scrub ($9.99). I love the feeling of the sugar breaking down as I rub it into my skin. I feel squeaky clean AND moisturized at the same time because of the oils and shea butter in the formula. 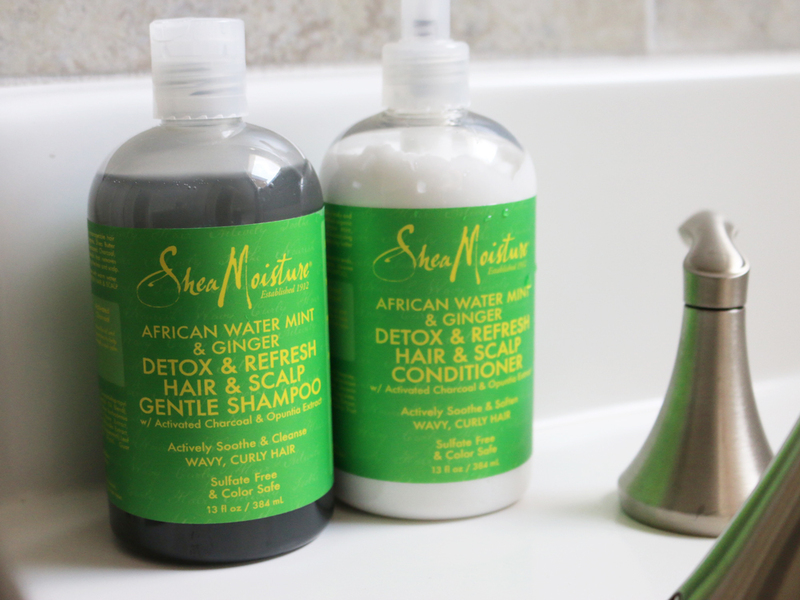 Before I hop out of the bath, I’ll quickly finish up with the African Water Mint & Ginger Detox & Refresh Hair & Scalp Gentle Shampoo ($10.99) and African Water Mint & Ginger Detox & Refresh Hair & Scalp Conditioner ($10.99). The conditioner doesn’t wow me (it’s very thick and lotion-y), but the shampoo makes my scalp feel brand new. I use it once or twice a week to combat the hot, humid hair situation (you know — life in the South). This has been a crazy month, and I haven’t really taken care of myself (there is such a thing as too much pizza) or addressed that pile of laundry that somehow doubles in size every night. 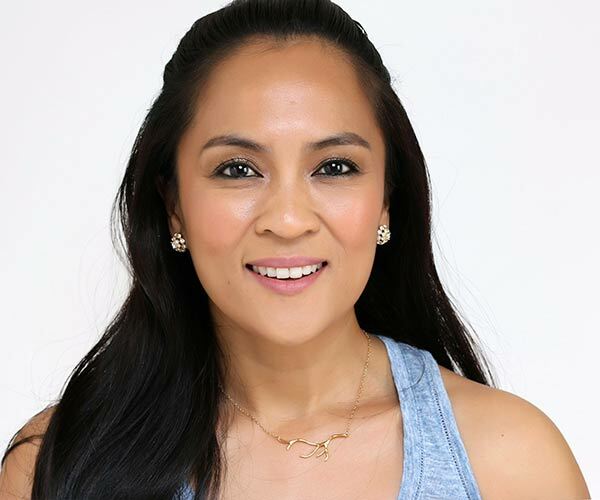 Whenever I feel like this, like I’m always behind, I look forward to treating myself with an extra-long nighttime beauty routine, and one product I’ve recently added to my regimen is a moisturizing lip scrub. In fact, here’s a look at two new lip scrubs I’ve recently tried. 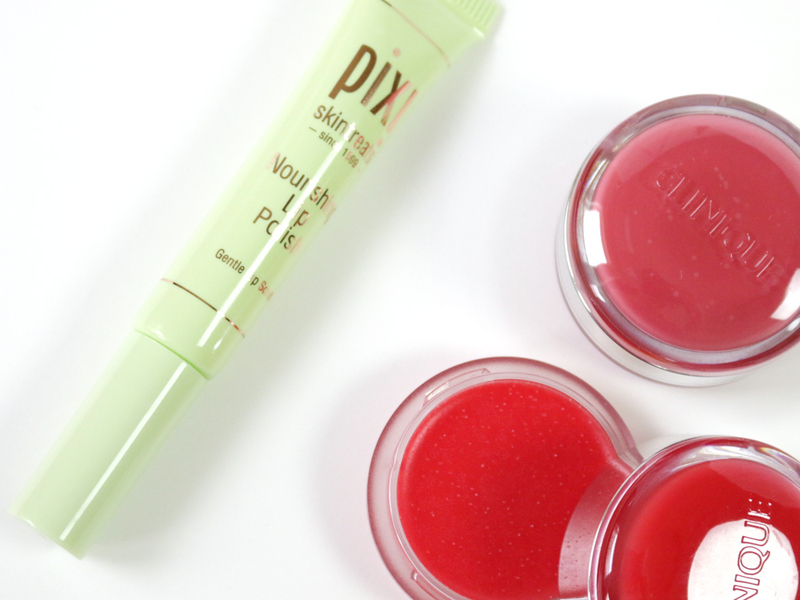 The first new one I tried was Pixi Nourishing Lip Polish ($12, available at Pixi and Target stores), which is new for spring. OK…this one is great, and I’ve never really tried anything like it! 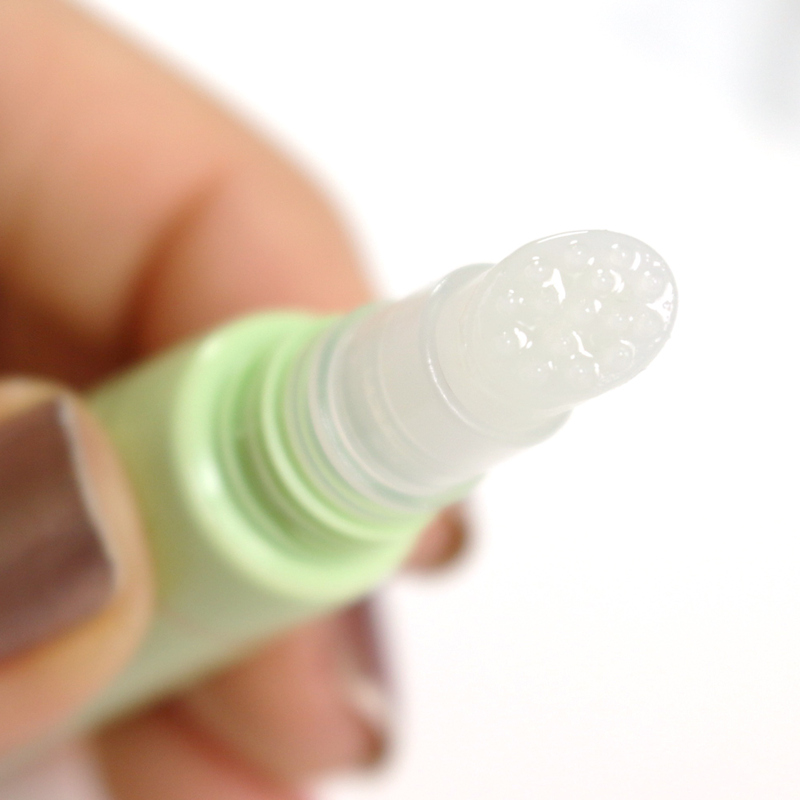 The plastic tip, which feels like a firm-but-squishy silicone, feels AMAZING when I scrub my lips with it, and since I’m able to control the pressure and placement, I feel like I’m massaging areas of my lips that I’ve never massaged before! The moisturizing oils feel luxurious, too, although I do wipe them off after I’m done exfoliating. The instructions recommend keeping the formula on after the scrub, but it feels really weird with dead skin sitting there… I love how mess-free this product is as an exfoliator, but only as an exfoliator. Ricinus Communis (Castor) Seed Oil, Shorea Robusta Resin, Butyrospermum Parkii (Shea) Butter, Silica, Octyldodecanol, Citrus Aurantium Dulcis (Orange) Peel Oil, Yellow Beeswax, Apricot (Prunus Armeniaca) Kernel Oil, Prunus Amygdalus Dulcis (Sweet Almond) Oil, Xylitol, Caprylyl Glycol, Tocopheryl Acetate, Citrus Paradisi (Grapefruit) Seed Oil, Oenothera Biennis (Evening Primrose) Oil, Borago Officinalis Seed Oil, Vaccinium Macrocarpon (Cranberry) Seed Oil, Camellia Japonica Seed oil, Linoleic Acid, Linolenic Acid, Tocopherol. Typically, I do everything I can to remove grease and oil from my face. At 25, with adult acne and a slew of medications to combat it, I never thought I’d actually slather my face with anything oil based. I’ve tried coconut oil, as well as oil-based cleansers, and they never seemed to perform any magic. Egyptian Magic, on the other hand, might have a few tricks up its sleeve. Containing only six ingredients, the cult beauty favorite has been around since the early ’90s, and it’s easy to see why it’s become such a must-have item. My first impressions upon investigation were that it did seem very similar in the style of packaging to Dr. Bronner’s Castile Soap (with the prayers and simple fonts). The red font, coupled with the blue and white background, screams drugstore product, but EM seems to fall somewhere in the middle. Price/size wise, I would have to call it “lower to middle high end,” with a 2-oz. jar ringing in at $26 and a 4-oz. jar coming in just under $40 (though you can also purchase it at drugstores). 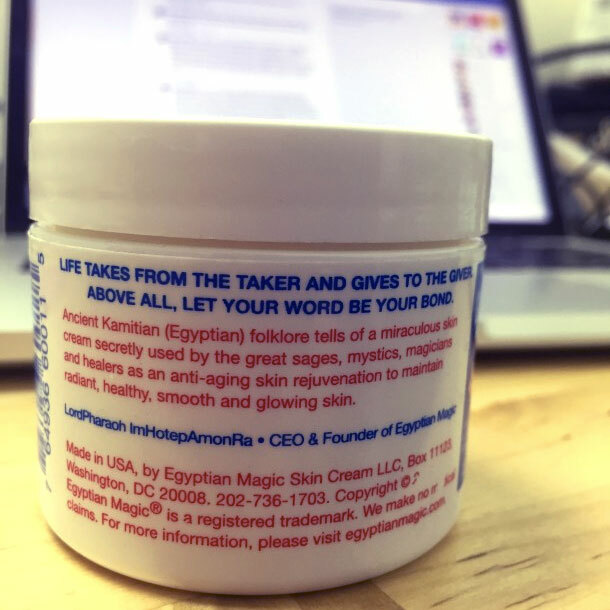 Touted as an “all-purpose skin cream,” Egyptian Magic contains six ingredients that are said to be identical to a formula found in ancient tombs. While I’m not sure of that, I am sure that this formulation is somewhat of a miracle worker when it comes to difficult skin. Seriously, I don’t know what possessed me to put this on my eyebrows, but something told me, “Marcy, put it on your damn brows. It’ll do them good.” And it did. I found that just dabbing my finger in the cream and applying before bed left my brows silky and soft (all the better for filling, my dear). Note: it looks slightly wet if applied too heavily. This was sort of a “duh” moment for me. Applying EM to my cuticles daily and letting it sink in (5-10 minutes) is like heaven for my constant hangnails. I typically do so before bed, but if you have to during the day, it won’t make too much of a mess. A few times during testing I found myself without my regular moisturizer, or that I had forgotten my moisturizer. I was also moving at this time, and at one point, all of my products, except this one, which was in my purse, were packed away. Enter Egyptian Magic. Slathered on my face and properly rubbed in, I could go about my day without looking greasy. I didn’t exactly look matte, but I didn’t look overly oily, you get me? Also packed away were my acne treatments. Dabbing this on any problem areas has kept the few spots that have reared their ugly heads (literally) away for the last few days. Stress zits are real, ya’ll, especially when you stay up until 5 a.m. on the day your lease ends moving the last of your possessions (and your terrified cats). I have a severe mold allergy, and due to some wayward mushrooms I found myself with a tiny patch of hives. This product did the trick better than the prescription cream an allergist (that I spent potentially hundreds on) prescribed me. Additionally, my boyfriend had a strange allergic reaction at this time, resulting in red welts on his arms, and rubbing a little bit of EM on his arms daily helped the itching. The first thing I thought of to apply this as was a lip balm. NYC winters and the winds that come with them can be extra harsh, and up until a few days ago, it was mighty cold around here. When I applied the cream to my lips, it was slightly exfoliating at first (TMI, that might have just been because of all the dead skin on my lips), and then came the pillowy softness and the realization, IS THIS WHAT SOFT LIPS FEEL LIKE? 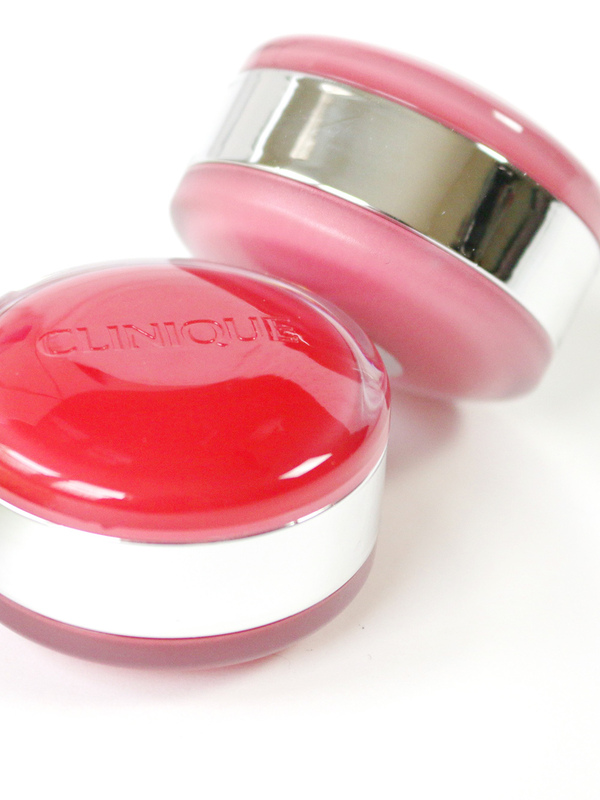 Applying this before bed and after a lip scrub will have you ready for any lipstick. All in all, I thoroughly enjoy this product. The only thing I own that is similar that I have enjoyed is Lush’s Ultrabalm. For $14.95 for 1.4 oz., it’s just slightly more expensive per ounce than the 4-oz. 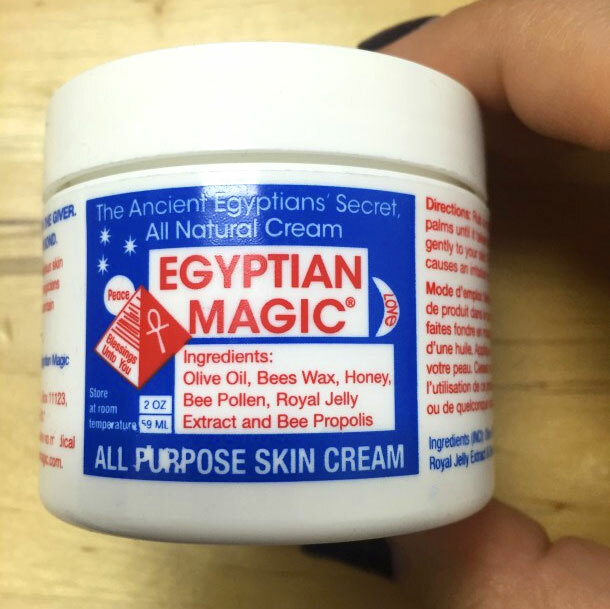 jar of Egyptian Magic. While Ultrabalm is vegan, I feel it doesn’t have as many uses as its contender. EM is a thoroughly universal product that anyone can find a practical use for. 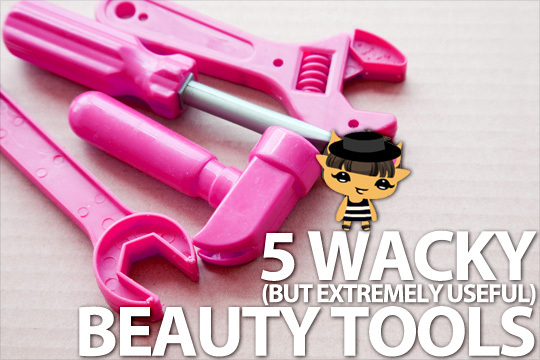 5 Wacky but Extremely Useful Beauty Tools! Great things have been achieved with the simplest of inventions. Like the wheel. And ink. And simple beauty tools that make life so much easier and happier. Imagine removing facial hair with a spring, pinning up your hair with Velcro, or using tape to reinforce or alter the shape of your eyelid. If I were the manufacturer, I’d have named it The EPICstick! — because the results I get from this little spring are nothing short of epic. 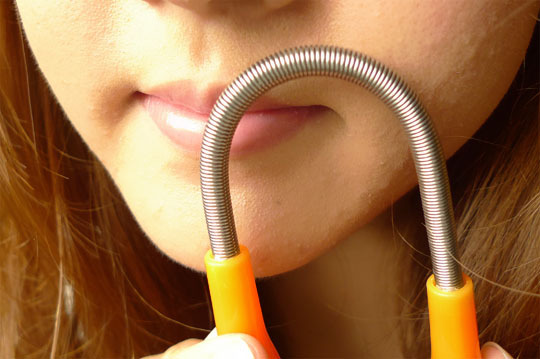 Lodged between two rubber handles is a tightly coiled metal spring that works to remove those little hairs on your upper lip, cheeks, chins, and forehead. 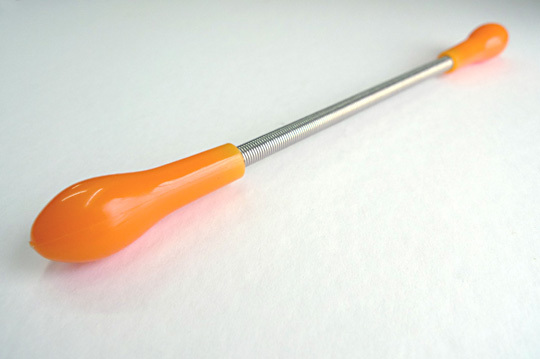 To use the Epistick, grab it at both ends, and bend it into an inverted U-shape. Then, roll it in an outward motion along the surface of your skin to remove the hair in that area. Simple instructions for one of the most amazing tools ever invented to remove facial hair. 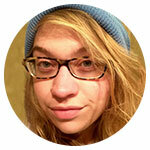 The sensation is similar to threading, a little prickly, but oh-so-worth it. 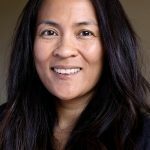 I find it hurts less than threading actually because how much pain you endure during threading depends on the skill of the person performing the procedure. When you do it yourself, you can always pause in between for a breather. I usually do it while watching TV to distract myself from the pain, and because, well, I don’t have to look at myself in the mirror to know where my upper lip and chin are. Having a face clear of obvious facial hair not only makes you look fresher and cleaner, it also allows for a smoother canvas for makeup application. WE WANT! 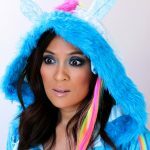 Ever done a fantastic rainbow eyeshadow look only to ruin it by accidentally getting mascara on your lids? And do you also avoid applying mascara on your lower lashes to reduce the risk of getting the product on your under-eye area? Hell, YES to both questions! 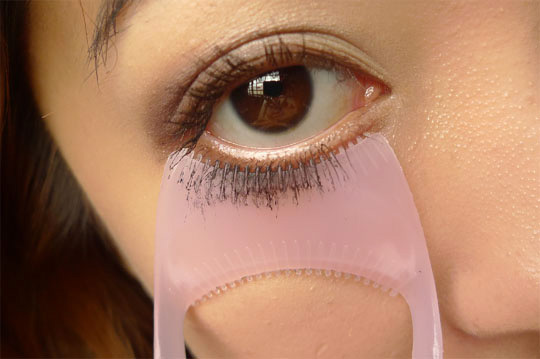 But those sad times are a thing of the past ever since I got the Mascara Guard. 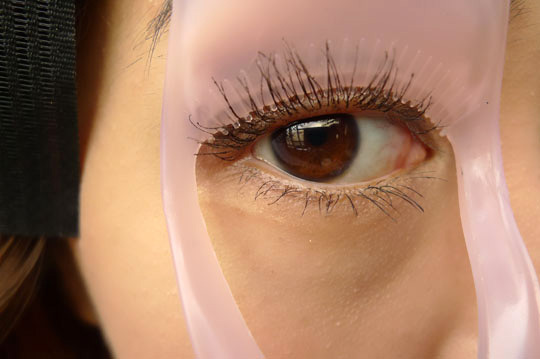 This oddly-shaped piece of plastic fits the contours of the eye area so that you can apply mascara without fear of staining your eyelids and under-eyes. Because I don’t have to be as careful when I use it, it also effectively cuts down the time it takes to apply mascara on my lower lashes. I don’t like to be careful because careful takes time. 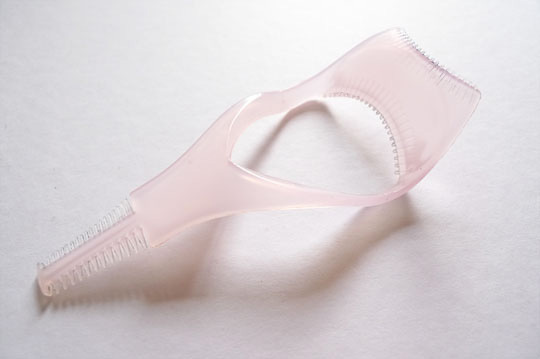 The double-sided comb on the other end can also be used to comb out mascara clumps or separate individual lashes. 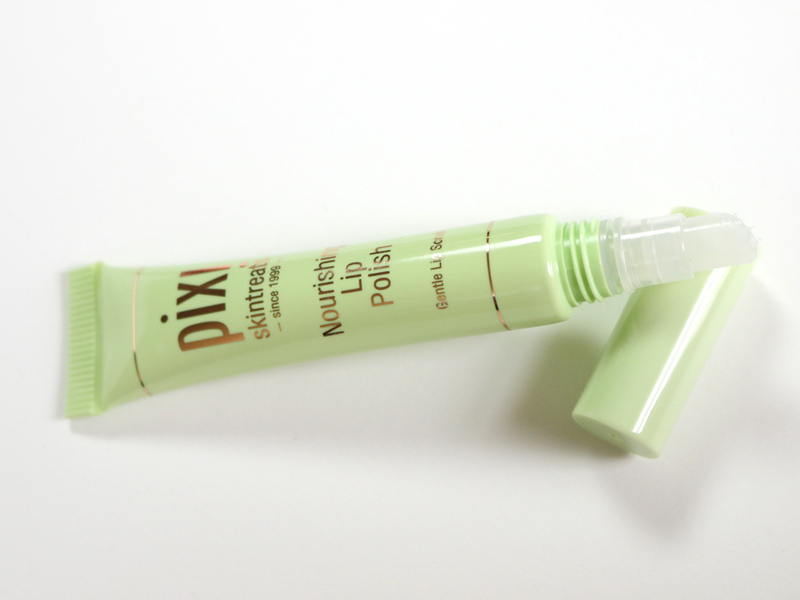 What do you use to pin up your hair when you apply makeup? Bobbi pins, butterfly clips, a hairband? There are 62 comments on this post. Leave yours. 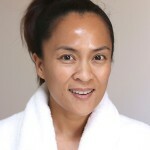 Today Rowena of the delicious Cosmetic Candy Blog takes us Far East with five of her favorite Japanese makeup primers. 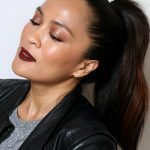 The moment I made the transition from makeup enthusiast to junkie was the moment I discovered affordable Japanese cosmetics. I was already in love with Hello Kitty and friendly with Kerokerokeroppi, so buying Japanese makeup seemed like a natural thing to do. And now, a few years in, I can say that around 75% of my cosmetics collection is of Japanese origin or of brands sold primarily in Japan. Japanese packaging for Maquillage, for example, can be cute or elegant or just gadget heaven. Some brands will keep their basic packaging permanent like many Western brands do, but others will play around with the cases and lipstick tubes every couple seasons or so, keeping a fresh look and concept (Kate and Lavshuca do this often). And I am genuinely impressed when companies think of new ways for us to apply our lipgloss other than plain sponge applicators! I love the variety of textures available from Japanese makeup brands, especially the lipsticks and cream/liquid-based eyeshadows. I’ve reviewed a number of cream colors on my blog here and here. These aren’t just the same old creamy textures we’ve seen so many times before. Some are water based, or light creams, thick creams, mousses, firm jellies, soft jellies…Phew! Although some Japanese brands are ridiculously, eye wateringly expensive, my favourite ones are mid-priced to affordable (equivalent to drugstore brands). 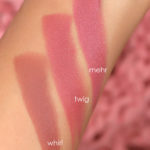 Even the brands that are sold in drugstores are extremely high quality, and in my opinion match many of the high-end Western brands in terms of pigmentation and finish. 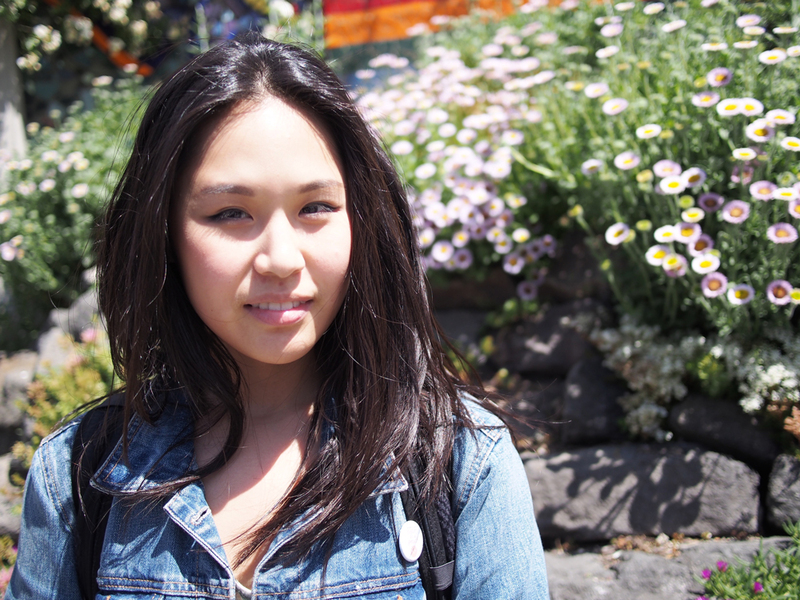 I find the many of the Japanese brands go for quite a shimmery, but natural look overall. 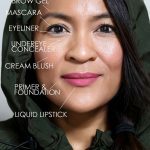 This doesn’t mean that the products aren’t pigmented, but that many of them do suit being worn in quite a natural-glow-I-didn’t-even-try-hard way. Japanese lipsticks are the best when it comes to creating a water based glossy finish, full of iridescent sparkles and glow and are never drying. 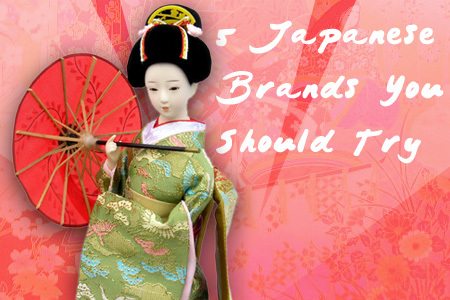 So without further ado, here are 5 brands which I think are lovely and you should try! Jill Stuart may be better known for her fashion line, but her makeup and skincare range (exclusive to Japan) is just as good. The range stands out because its drop-dead gorgeous princessy silver packaging wins me over all the time. Unfortunately, it’s fairly pricey at around $65 for a powder foundation and $45 for an eyeshadow quad (prices can vary a little). 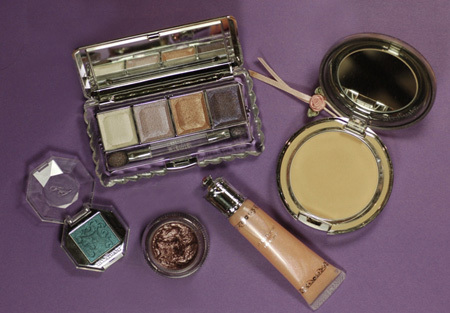 Must try items: Jelly Eye color, the quads, fruit lip balm and lip lusters. Kate is a drugstore-level brand made by Kanebo. It’s a funky, punky but pretty look, and the packaging is black and fairly basic, although they always find nice ways to present the shadow pans in the palettes. They have plenty of eyeshadow palettes, normally with 5 colours in each to play with, as well as a set of Gel eyeshadows I think are fab because they really last. 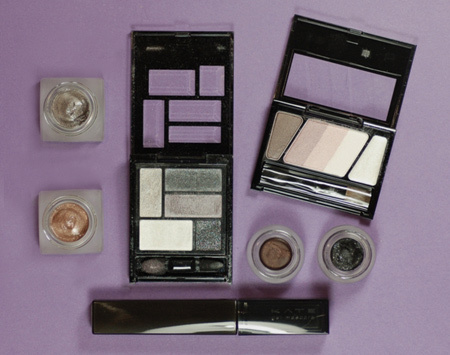 Must try items: Glam Trick Eyes palettes, Gel Eyeshadows, Gel Mascara. 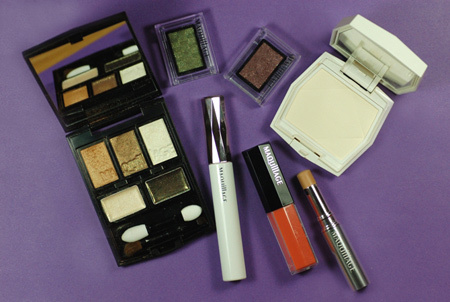 MAQUillag is a medium-end makeup brand made by Shiseido, aimed at a slightly older market than Kate. MAQUillage for me oozes class and quality, and I’m very rarely disappointed by a product they make. You can buy separate pans of cream and powder eyeshadows too to put together your own palette extravaganza! 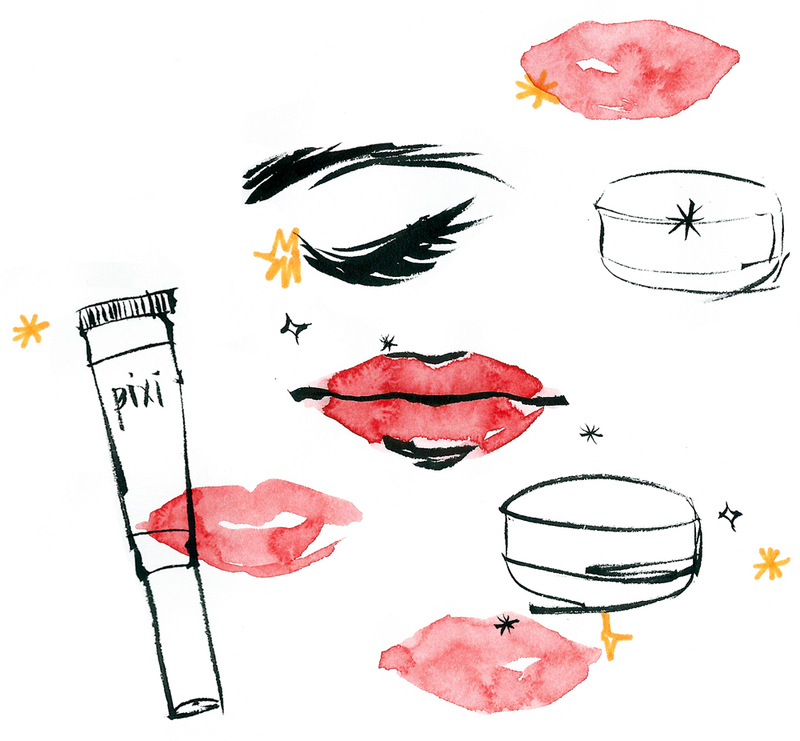 Must try items: All the lip sticks and glosses (yep, all of them! ), the eye creator palette (contains 2 cream shadows and 3 powders), and I personally love the Climax Moisture Foundation Compact.